Emotionally engage with your dreams every morning. One reason we lose discipline is that we lose touch with our dreams – we stop thinking about what we want with real emotion and consistency. So, each morning, practice visualizing yourself achieving your goals and dreams. Allow yourself to truly feel the joy and power as you accomplish what you want. Emotional engagement like this, done consistently, can fire you up and keep you committed. Do your work before responding to the needs of the world. Don’t wake up and immediately jump into your inbox. Don’t start the day in reaction. Instead, begin your morning taking steps toward what you want to achieve. Make it a habit to own your morning and achieve what you want to. If it’s a habit that you fire off first thing in the morning, you won’t need willpower or discipline later in the day to do it. Block time. Create scheduled blocks of time where you do only one thing. 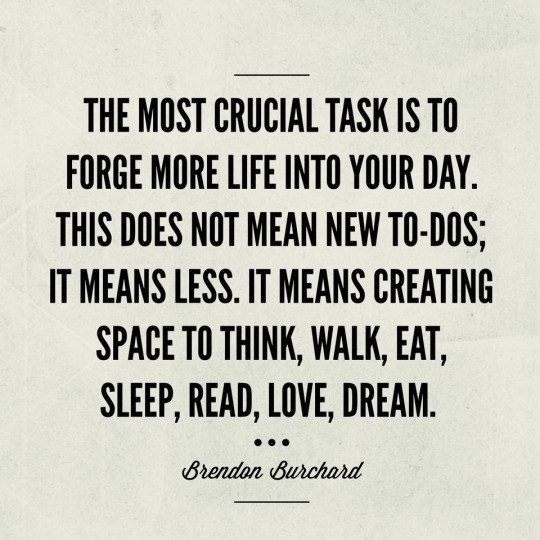 Use that block of time to move your life forward, to create art, to strategize, to work diligently on one important activity. If you don’t have blocks of time already set up in today’s calendar to do things that matter, you’re already losing ground. Set up social rewards. When you achieve something that you have been working toward, take time to celebrate with other people. It is hard to continue your discipline, if you do not feel socially rewarded for your hard work. The more you celebrate the small wins, the more you’ll stay on track in achieving the big things. Try these ideas and you’ll find yourself more disciplined. Soon, you’ll feel more in charge. Have you ever struggled to be more disciplined? You know, you got that paper due next week but you don’t do anything all week even though you know it’s coming. Or you set up a brand new habit that you’re so excited about; that you know can improve your life, your relationships, or your work but you don’t stick to it. Or you started that workout routine; you got really pumped up, fired up into it. You lost a couple of pounds but then three weeks later it was gone. And what did you blame? You said, “Ah, I wish I was more disciplined and everything would be great.” And the reality is it’s true. Discipline is one of the most important things we can develop in our lives because without that ability to be sort-of self-reliant and willful to get things done on a continual basis, we never get that great amount of momentum and progress towards what we really want. And I bet there’s lot of areas of your life that could really benefit from being more disciplined whether you’re eating healthier or working out more often or being more disciplined about doing your art on a consistent basis or contributing, or even being more disciplined about just speaking up for yourself—when you know that you should. So, how can we help you find a goal and be more disciplined? The first idea is to emotionally engage with that dream each morning of your life. 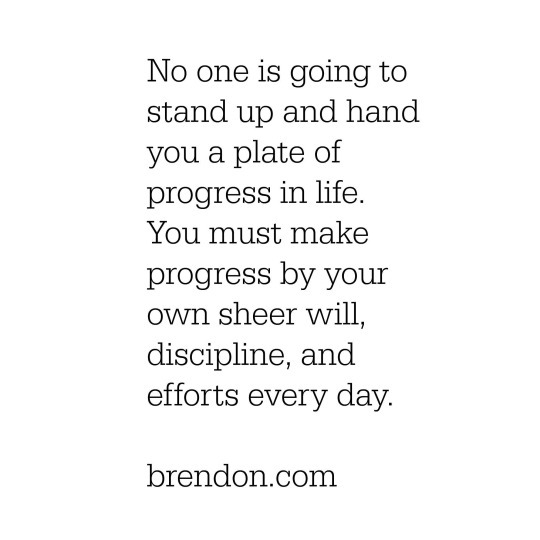 A lot of people don’t actually struggle with the discipline part in terms of the doing the thing. It’s that they are not getting revved up to do the thing. In other words, we got a problem with motivation. Not necessarily just discipline. We have a problem with that once in a while, you hit it. You do it, you do the work. But a lot of times you fall off because you’re not emotionally engaged in it. It’s like if you want a lot of discipline, you need a high level of emotional connection and focus on that thing that you want to work towards. And really get yourself emotionally attached, emotionally engaged with it. Think about how great it will feel for you to have that thing or be that thing or contribute that thing, to make that difference. Just think about it and allow it to well up in your heart a little bit. Get excited about it. Remember the dream. That’s why we get away from discipline because we’re so busy with the chaos of the world that we emotionally are no longer attached in a way that our brain says, “Hey man! 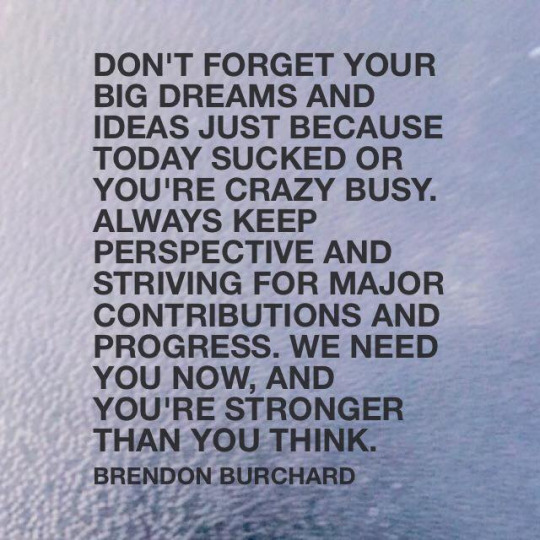 Focus on this.” It’s important to you. Remember? So, if your heart is disengaged it’s difficult to stay disciplined. If you can do that more often, you’ll be more fired up and you’ll stay back on track. But if you set up your morning to win or you set up blocks of time to win as we’ll talk about, and you do that first, do your work first, it’s easier to stay disciplined. If you’re saying, “This year I want to, these next few months I want to be more healthy”, great. Get your health stuff out of the way in the morning. Create your shake, do your workout, create a healthy lunch to take to work and you’re off and going to a good start. But if you wait for the remainder of the day for discipline to strike, it never will. Whatever it is for you, you can do something every day. And if you believe that, then you need time to do that. And in that time, what we call block time, you say, “Okay, today from 1 o’clock to 3 o’clock, I’m only doing this thing that I need more discipline towards.” And during that time you don’t check your email, you don’t do your Facebook, you don’t browse the internet. All that happens during that time is what you’re supposed to be doing. The reason a lot of people don’t have discipline in their life is they’re letting their day be ruled by randomness. They don’t have blocks of time that have actually been scheduled to do the thing they’re supposed to do. So, they’re counting on sudden will. “Oh you know, I’ll get to that today or I’ll get to that someday”. And I really mean that. You have to do it with other people. You have to have that connection with others to celebrate to keep your will intact, to keep doing the thing you’re supposed to be doing. It’s so important for you to do this. Talk about how it felt to finally complete this thing. See, if we’re never celebrating, we’re never going to develop real discipline and it’s funny because too many people think those are opposite things. They think discipline can’t be fun, that discipline can’t be joyful but the masters of this life have proven that doing things in a disciplined way can also be doing things in a joyful way. And if you think discipline has to be this hard, awful, terrible thing, maybe you’re never going to have discipline because you’re constantly trying to fool yourself into doing things you don’t want to do, and it’s time to find the things that you do want to do. It’s time to connect to those emotionally and to visualize those, to get other people to the party with you to celebrate. To do the things that really matter which is: Block the time to make the dang thing happen. If you will do these things, you’ll start to find yourself much more disciplined and on your way to living what we call, The Charged Life.